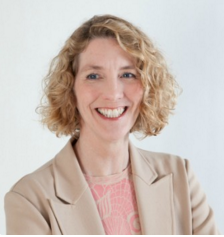 With the release of Hackbright Academy’s latest Outcomes Report, our CEO Sharon Wienbar shares her input on how to find the right school for you. Hackbright Academy provides three key services for our students. Come to us for 1) an intellectually challenging, rigorous training in software engineering; 2) an inclusive, supportive environment where our students feel safe launching their new careers; and 3) career services support beyond graduation. Consider and compare Hackbright’s unique Fellowship program with other ways to learn software engineering. Below, I’ve listed the factors I consider very helpful to consider when it’s time to choose where to make your career transition. We are as proud of our outcome numbers as we are of the students who achieve them. First, see yourself in the student body. Hackbright students come to us with burning intellects and a maker mentality. Our biggest “feeder schools” are the University of California system, and UC Berkeley specifically. The majority of our students earned their bachelor’s degrees from selective colleges, and 20% of our students hold advanced degrees. But your alma mater isn’t what matters. We are looking for intense curiosity and the ability to “think like an engineer” in our application process. We often find that capability in women from backgrounds a tech company wouldn’t normally consider when building its talent pipeline. We are all about ability, not necessarily traditional credentials. For examples of successful engineers from non-traditional backgrounds, see our soccer player and policy analyst. Many of our students always loved studies in STEM, but got stuck in some other major or career in the great Sorting Hat of life. The first day’s squeal of joy I hear from students at Hackbright is “I’ve found my people” —women who will thrive in a new career that combines logical reasoning and the joy of making. We are all about ability, not necessarily traditional credentials. Second, critique the curriculum. Hackbright teaches ENGINEERING, not just coding. At Hackbright, you will build a foundation of computer science fundamentals in data structures and algorithms. Our primary language is Python, the most widely-taught language in traditional computer science departments and the most widely used in web application development. More importantly, here you will learn to learn new languages and tools. We expect our engineers to program in a variety of languages and frameworks in their careers, and we prepare you to keep on the cutting edge. This is born out immediately in the diverse environments our students use in their first jobs; half program in Python, but half in some other language in their first jobs after Hackbright. We believe our emphasis on computer science and Python yields the extraordinary jobs outcomes and high salaries that Hackbright grads command. The curriculum here also encompasses professional software development skills. Hackbright is neither theoretical nor vocational. The capstone of your academic work at Hackbright is building your own full stack web application, from ideation to MVP and agile scrums to deployment. You choose the data inputs, algorithms, APIs and front end design. You test and deploy your code, learning to validate inputs and squash bugs. Hackbright’s students’ projects teach far more than a group project or refactoring an existing app ever would, and allow you to practice many skills engineers depend on in the workplace (see the list of 51 web apps from Hackbrights). Hackbright’s low student-staff ratio and dedicated advising by the education staff provide the intensive support that allows students to master so much challenging material so quickly, and to have fun doing so. From day one, Hackbright’s instructional methodology trains you to think and talk like an engineer, to help you succeed in your new career, and to help you master the tummy flutters of your first engineering job search. Every day you “pair program,” which makes you talk about code–the very thing you do in an interview, in a project team meeting, in a pitch. Even if you are an introverted engineer, Hackbright’s day to day process gets you comfortable in the limelight of a whiteboard interview at the front of a room. Hackbright’s instructional methodology trains you to think and talk like an engineer. Third, meet your Mentors. 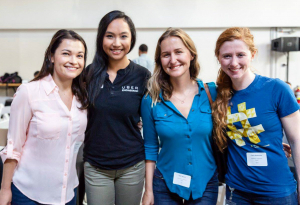 Hackbright students are matched with up to three industry engineers as mentors. Our mentorship program provides advice and support in your 12 weeks at Hackbright—mentors generally meet their mentees for an hour each week on topics ranging from whiteboarding to life in the bay area. More importantly than those 12 weeks, though, your mentors provide the seeds of your professional social network for life. The guys in engineering jobs have often been coding since high school or younger, and have a built-in network of buddies from years of shared classes. You are jumping into Silicon Valley jobs and companies with your Hackbright classmates and alumnae who’ve got your back, AND with your mentors who extend your network into additional companies and career levels. By contrast, in some coding schools mentors are recent grads who are still job hunting. At Hackbright, working alumnae mentor. 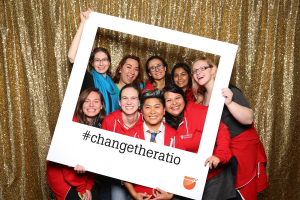 Many senior engineers who want to #changetheratio are dedicated serial mentors (hear directly from our mentors about why they support Hackbright students). 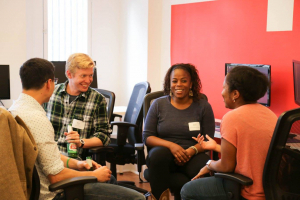 Finally, build your engineering path with Hackbright Career Services. 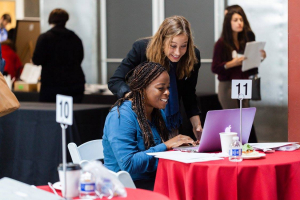 Starting with prep work before you come on campus, Hackbright Career Services will coach you to succeed in your new field. We help you show your coding prowess on GitHub and LinkedIn. We are the teammates and success coaches who help keep you accountable for getting to your dream job. Hackbright’s instructors and career services staff, mentors and alumnae work in concert to orchestrate your job readiness. And, once a Hackbright, always a Hackbright. Our Career Services team supports you in your career, not just your first job. Your mentors provide the seeds of your professional social network for life. We are as proud of our outcome numbers as we are of the students who achieve them. Unlike some other schools, no one who graduates Hackbright is listed as “opted out” of a job hunt. Hackbright is licensed by the California Bureau of Private Postsecondary Education, because we take regulatory compliance very seriously. As you examine Hackbright’s Outcomes Report, consider Hackbright’s unique strengths that contribute to our consistent strong outcomes.